Whilst I was still in Belize, the chance arose to visit not-yet-on-the-market Coffee Island. Of course I took up the opportunity. 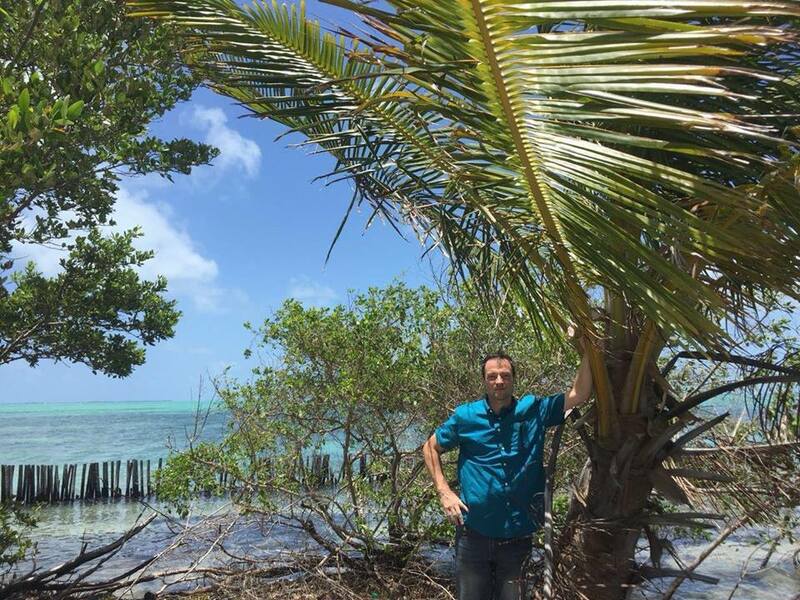 So on 25 June 2018, my surprise visit to Belize Island number 4 was underway. After our recent island visits, the striking advantage of Coffee Island is its proximity to an international airport. It would be possible to arrive at Coffee Island within an hour of leaving Belize City airport. The island can be seen in the distance from Belize City at 9km away. You will see from the pictures that the island is surrounded for about a third of its perimeter on the north and eastern sides by ‘palmita’ stakes forming a low wall roughly between 3 and 8 metres offshore. These were probably erected to protect the island from erosion. The northern part of the island is quite open, with palm trees, other shrubs, and grass. There are several small beachy areas, with sea grasses growing in the sheltered area inside the ‘palmita’ fence. The southern part of the island is more overgrown with mangroves. The island is almost completely flat, with ground level roughly 0.6 m above sea level. There is currently no development on the island. 750 metres to the south of Coffee Island is another, larger island with some minimal development. 10 km to the east is St George Caye, formerly a British military base, which is now partly abandoned but also has some fairly high-end properties in use. Beyond that is the coral reef which is around 12km away. The island at present is about 1.1 acres (0.45 hectares). Included in the sale is the space out to the palmita fence which we could backfill with dredged material to increase the space available to about 1.5 acres. 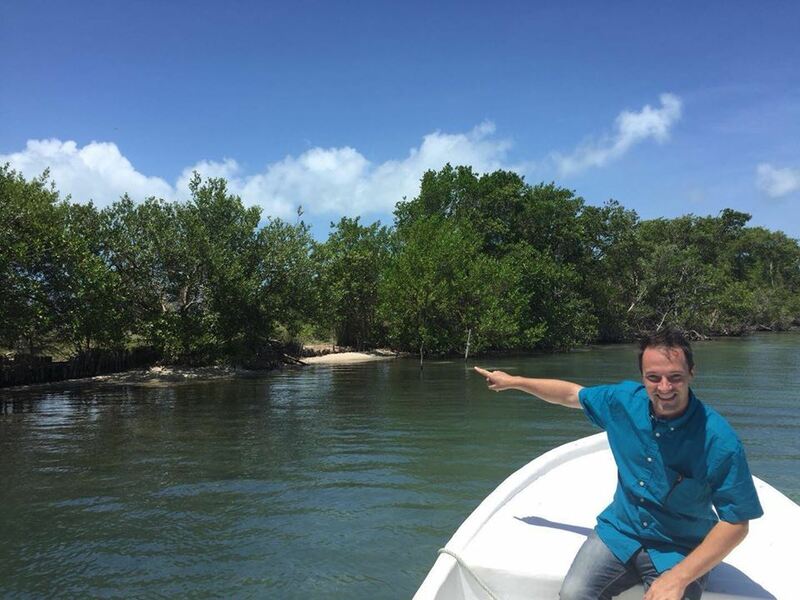 We have lots of momentum on this project with more investors coming on board all the time and this island offers a lot of potential in terms of location and what we got for the price. We are still looking, but we are getting very excited about our options. Are we getting our own boat? This is definitely an option and would reduce our reliance on local providers for transport, as well as our costs. 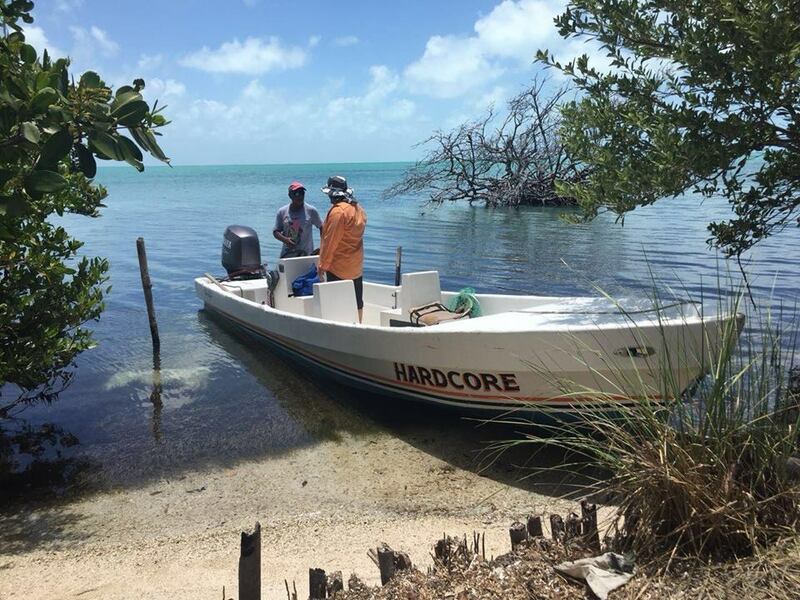 Anyone driving our boat would require a Belize captain’s licence; this isn’t too onerous to obtain however. What would we have to do next? If we wanted to move forward with the island we would need to commission a survey to establish what exactly is included within the sale. We could undertake dredging (which would make it bigger) but there is no need for this right away. We could also clear some of the small beach areas. We would need to arrangea building permit and undertake an environmental assessment in order to commence works. We are working out the logistics of this as it would apply to any of the undeveloped islands we have seen. Overall, this was a great opportunity to see an extra island, and another on the short list.